The 2019 Windstorm Insurance Network Convention, or “WIND 2019,” is coming up quicker than a deposition date on a problem claim. We hope to see you Jan 30-Feb 2, at The Walt Disney Dolphin Resort, in Orlando. WIND is a professional member association and annual conference, founded in 1999, with a focus on education and industry insight for all those working in the property/windstorm insurance claims industry. Like country & western or chocolate and peanut butter, some things just go better together, and we must work together to do this job. VISIT US AT BOOTH #320. Speaking of Golf, the tournament this this year is at TopGolf and Team Complete will be there bright eyed and bushy tailed to take on all comers. My expert can out drive your estimate! We think the change in venue will encourage an opportunity to talk with many of our peers not just at breaks in the game looking for your ball or passing on a cart but more readily in Top Golf’s environment. Plus, it benefits the young people at Florida State University! Windstorm Insurance Network Endowment Scholarship and FSU! Florida State University works with the Windstorm Insurance Network to help students at Florida State University’s Department of Risk and Insurance Management/Insurance through their Windstorm Insurance Network Endowment Scholarship Fund. At Complete, our chief measurer John Minor CGC, CFM has had the opportunity to lecture at FSU on Wind and Flood concerns at Stormrisk.org. We hold the university in high esteem…regardless of our ability to currently field a football team. Go Noles! and I hope you will support this cause that empowers the young people our industry needs with understanding, fresh ideas and energy. Jack Hanna is the keynote speaker and he is more fun than a barrel full of monkeys. Jack creates enthusiasm for the world around us reaches out with his love and knowledge of nature and makes you laugh out loud. This will be a fun time and a chance to see a true hero of world conservationism at WIND 2019. 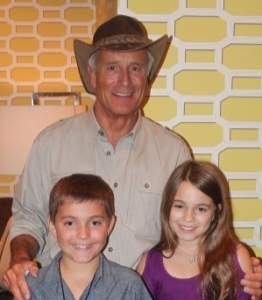 JGM 2 & Grace Minor with Jack Hanna! Come on by, Complete is growing and adding some great people. We invite you to say hello some of our new team members, like 40-year structural engineer Bill Adams, PE. We are already relying on Bill’s experience and can-do attitude. When we asked Bill to come up from Irma to work Michael it included hoisting of the anchor and setting of sails. Bill is an avid sailor and we hope you will ask him about his travels but please do not tell him how nice the weather is in Key Largo. We will try to keep John around the booth but tying him down is not easy unless you are a big loss with need, Gina Minor, the children or one call from an old friend. We encourage an open exchange of ideas and welcome the chance to put a name with a face. If you have a specific challenge with a file, we are currently running, please take this opportunity to say Hi and if we can pull away and agree on a method of moving forward, we believe that is just what we came for, within reason of course. The classes at this year’s WIND conference are great and there seems to be more and more demand for the credentials that WIND provides. We understand why these classes are getting more and more popular. Until there are laws and licensure for appraisers and umpires a WIND stamp and maybe some umpire appointments is most of what you can obtain to set yourself apart as being better than the competition. All of these pros that teach these umpire and appraisers classes are experienced and they consistently bring a quality message on the process of appraisal. We love the stories because many times we were in the room, or one over, when the story was made. Friday night, from 6:30pm – 10:30pm, is the Sunken Treasure WIND Costume Pirate Party and Casino Game Night. Come dressed as a pirate or wench and say “ahoy” to a festive night of dinner, drinks, casino games, and prizes. A live cover band and dancing round out the fun for the night!